A busy time for some senior GLENMORE AC athletes lately, Well done to Donal Mc Moreland who recently completed the extremely challenging Sowndonia Trail Marathon on 15th July. Congrats to Peter Noone (1:07:58) and Kevin Harnet ( 1:10:13) on completion of the very popular and well organized Blayney Rockets 10m road race . Big well done to Glenmore AC athletes John Doyle and Christopher Connolly on stepping up to the Carlingford Olympic Triathlon. John is an experienced tri-athlete and plans to take on the Full Ironman in Cork 2019. 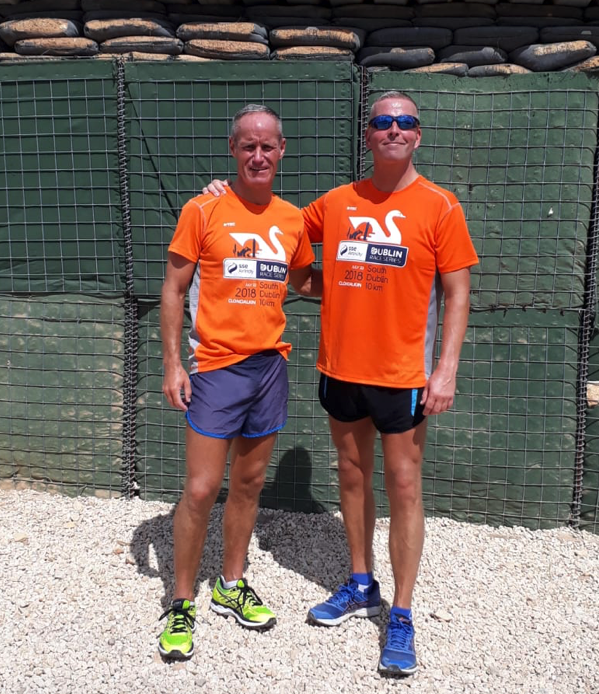 Congratulations to 2 Glenmore athletes who completed the first of the SSE AIRTRICITY RACE SERIES , Gavin Byrne completed the 10k event in Clondalkin and Terry Steeples (see pic below) completed his event in soaring temperatures in Lebanon. Well done to both of them. We’d also like to congratulate Ciaran Flynn (U17) (10:23) who was placed 15th at The Irish Life Health National Juvenile Track & Field Championships in the 3000m event on the 16th July.